It’s not unusual for a film to have that “marmite” effect, where you either love it or you hate it. 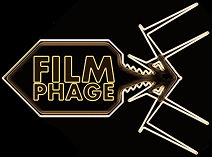 For instance, whilst some (The Phage included) think that Tarantino‘s films are witty, well crafted slices of cinematic gold, others see them as films that just “try too hard” and are filled with superfluous dialogue. Another aspect of cinema right now that’s proving divisive is the use of 3D technology, as not many films use it to good effect and instead use it as a way to put their hands in your pockets and pry those extra coins out. Normally to make up for a lacklustre film. But now, a new contender enters the ring to compete for “Most Divisive Tool in Cinema”: 48 frames per second shooting and projection, thanks to Peter Jackson‘s The Hobbit: An Unexpected Journey. But is the film worth the money in your pocketses? What’s in your pocketses? You stoled it! You stoled my moneys!! Brings me back my precious!! If you’ve been living under a rock for the past 24 months then you won’t have heard about Peter Jackson‘s latest foray into Middle Earth to tell the tale of The Hobbit – a small prequel to The Lord of the Rings. I’m going to get one thing out in the open right now: I’ve never read The Hobbit. Nor have I ever read The Lord of the Rings. So what you’re getting here is a completely objective (as possible) review of the film… and not a review blinded by sentimentality about a book. So shall we begin? To cut a long short story short, The Hobbit is the tale of Bilbo Baggins, who was played by Ian Holm in the original trilogy (and reprises his role here as the older Baggins), and is now played by Martin Freeman. The story focuses on how Gandalf (Ian McKellan) tasks the young Baggins with a task to accompany Thorin (Richard Armitage) and his band of dwarves as they trek to the Lonely Mountain to reclaim a homeland for their race. Throw in a chunk of side-plots about a Necromancer (Benedict Cumberbach – you won’t really see him here) and an orc warrior that really has a score to settle with Thorin and you’re about there. And of course… you don’t forget about Gollum (Andy Serkis). Nobody forget about Gollum. The ultimate impact of 48fps is the fact that yes, things appear much clearer… including the make up and prosthetics on the dwarves. Interior sets also look incredibly cheap and false – this is especially noticeable in the aforementioned 40 minute opening in Bilbo’s house. However… However… I warmed to this method of filming. Especially when it came to the large, lush New Zealand landscapes and anything featuring a CGI character, be they orc, goblin or troll. So whilst I speak of the CGI, let’s delve in here. Some hubbub has been made of the fact that the orcs here are 100% artificially generated. In the original Lord of the Rings trilogy, all of the orcs were extras decked out in prosthetics and they looked brilliant. You see, I’d argue that The Hobbit‘s orcs look even more fantastic – perhaps owing to that high frame rate. The same can be said of all trolls and wolves in the film too. All look simply amazing, so credit really has to go to the SFX crew working on the film. This brings us to what was, for me, the highlight of the film… Gollum. Andy Serkis deserves some type of award. Or at least acknowledgement that he is a talent to be reckoned with. Whether it’s Gollum here, or Caesar in Rise of the Planet of the Apes, the mo-cap performance he brings to the piece is phenomenal. Let’s also not forget his instantly recognisable accent for Gollum – perfection. The entire section revolving around him and Bilbo is cinematic gold. And the visual effects make Gollum look even more lifelike than ever before. You’d swear that he was in the room with Martin Freeman. It’s just a shame that by all accounts, this is the only time we’ll see Gollum in the rest of this prequel trilogy… a real shame. Bring on Dawn of the Planet of the Apes then! Speaking of “trilogy”, I was initially sceptical of how a short story book could be adapted to fill three 3 hour films. It seemed a little over-the-top and very much like a cash grab. I still somewhat stick to those sentiments, but it’s interesting to see how many extra elements Jackson has thrown into the mix. From speaking with others (Phages never travel alone… like hobbitses), much of the material concerning the Necromancer and Pale Orc aren’t part of the original story – they’re part of the broader Tolkien universe. I’m looking forward to seeing how they develop as the trilogy progresses. I’m not sure it needs 9 hours to explain all of this, but I’m not as cynical as I once was… Maybe, just maybe, Jackson can pull it off again. At 48 frames per second. The Hobbit: An Unexpected Journey isn’t the masterpiece many expected it to be. The story lags in places and the decision to use 48 frames per second is a massive risk for Jackson. Luckily, I think it pays off once you’re able to immerse yourself in the story and get over the nausea-inducing opening gambit. Resist the urge to head to a 24fps showing in the next screen and strap yourself in. Once you see your first orc, you’ll be happy you stayed. One thing I can guarantee is that you’ll leave the screening talking about one character, and that is Gollum. You’ll see children running around hunched over, talking to themselves, and lamenting the loss of their “precious”. A word of warning though. Don’t let them put their hands in your pockets whilst they search for the ring. I think that’s frowned upon in popular culture. This entry was posted in Review and tagged 48 frames per second, 48fps, Andy Serkis, Benedict Cumberbach, Bilbo Baggins, dragon, dwarves, fantasy, Goblin, Gollum, J.R.R. Tolkien, Lord of the Rings, Martin Freeman, Orc, Peter Jackson, The Hobbit, Troll. Bookmark the permalink. Totally agree with this, the HFR version is stunning once you leave Bagend! Up to that point it does look like a very plastic set. It is an amazing film and there are some stunning sequences, especialy the rock giants fighting, those looked stunning in HFR and 3D. You know what – I totally forgot about those big guys! I thought all the creatures looked great. Seems you and I were on the same page!